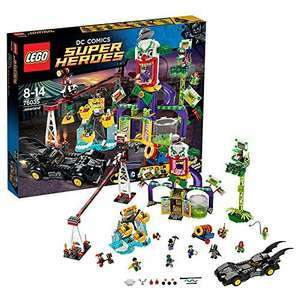 Great price for a fantastic set, it even comes with a Batmobile! Also available at Asda/George for the same price. Not disputing that this is a good price in terms of RRP, but Lego is seriously overpriced. They really think that's worth £90? Not disputing that this is a good price in terms of RRP, but Lego is … Not disputing that this is a good price in terms of RRP, but Lego is seriously overpriced. They really think that's worth £90? True it's quite expensive, but it's about 9p per piece so good value for a Lego set. But only 80% feedback score. I would avoid that one, most of the feedback suggests you'll never receive it! Flubitted this yesterday and that brought it down around an additional 10% to the just under £63 mark!